The full stream of the comedy/music split is up now over at http://alreadyheard.com/58427-2/! Check out the stream and a fun little interview we did. I'm very proud to present this humble offering into the worlds of both music and comedy. I have been consistently influenced by my amazing peers in both these creative avenues. Thank you for being supportive. I sincerely hope you like what you hear and that I do you proud. Thank you so much to Skeletal Lightning Records for believing in this and truly being the best! If I've ever entertained you musically, made you laugh and/or if you don't mind calling me a friend. Please check this out and share DIY style. It's the very beginning of a long journey! Split LP with Myself out April 6th via Skeletal Lightning Records! Ecstatic to officially announce that I am teaming up with Skeletal Lightning Records who has agreed to let me do the unthinkable! They are letting me release a Split LP with... Myself! 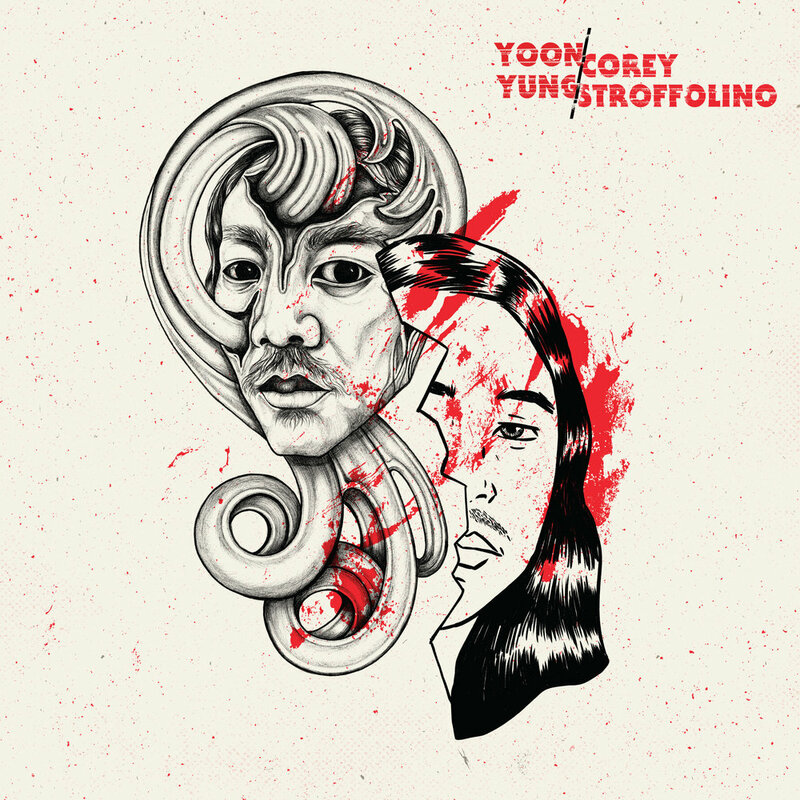 Side A is my musical debut EP as Yoon Yung. Side B is a live recorded stand-up set at Silver Bullet Studios. This is a true culmination of everything I've been working at the past few years! Check out the first video for music-side single, "Heavy Ghost". Then click the pre-order link to check out a track from both the music and comedy sides! I am beyond stoked to be able to put this out there and to partner with a label that loves to make weird stuff! Thank you for everyone who came out and watched La Dispute at Bled Fest this year. It was a pleasure. I haven't been there since 2011, when I was playing bass in Defeater and was on tour (not as there guitarist yet) with La Dispute. To think I'd be back there playing in LD and headlining the fest is pretty wild. I'm very grateful for all the twists and turns. I will be back out in Grand Rapids in August for two shows with the boys at the Pyramid Scheme. Probably our only other shows this year. I have a bunch of shows in the comedy section and a really cool announcement for July coming soon! Also, the Anything Else Podcast will be re-launching Friday afternoon! Sorry for the little hiatus. Life got a bit crazy this spring. Ready to get back at it with great guests and great conversations! Enjoy the sun. See you very soon! Episode 1 of the Anything Else Podcast is up now! Jordan Dreyer of La Dispute is our first guest. Click here to check it out! This is my farewell to 2016.